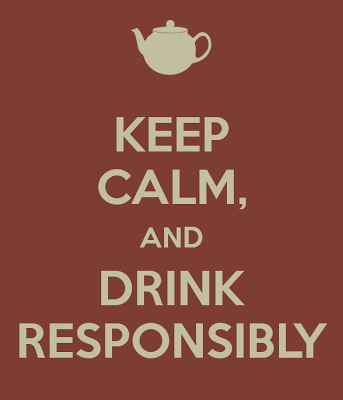 While the lovely folks at Bulu Box are very much on schedule, I of course am not! I am about a box behind, so this month you will see two Bulu reviews instead of one so I can catch up. With August being a flurry of travel, events, conferences and always being on the Go, the products curated in this box were absolutely right on time! 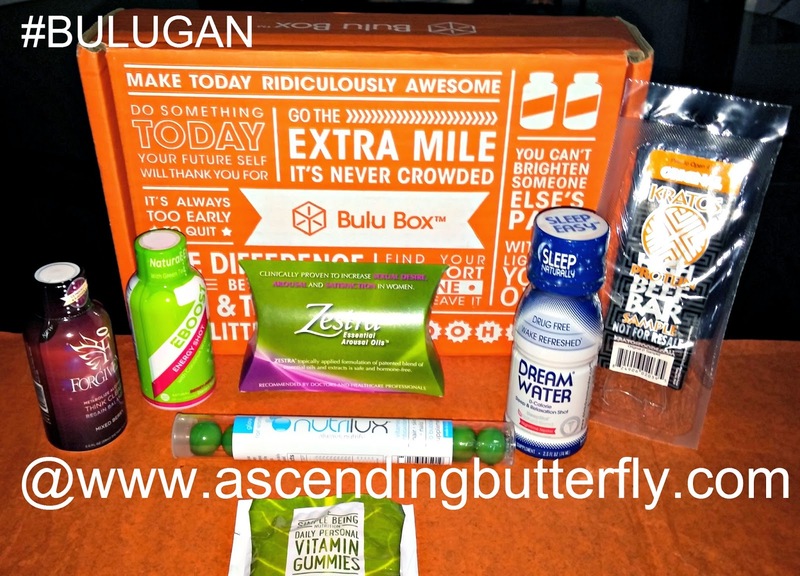 The August 2014 Bulu Box was curated by Laryssa Didio, Celebrity Trainer, Fitness Expert and Developer of 'Strogation'. Strogation is a combination of Yoga, Meditation and Target Stretching. The 5, 15 or 20 minute program where Laryssa guides you through a stretching routine helps to ease aches, increase your flexibility and diffuse stress. It also allows your body to detox which aids in speeding up weight loss results, increases energy, improves circulation, regulates digestion, reduces inflammation and allows the body to heal itself. (Stay tuned below for a discount code if you'd like to try this out for yourself!) - So I may be just a bit jelly as this is all stuff I was already doing, isn't this making you want to slap your forehead and say "DOH!" just like Homer Simpson? Let's dive into this box! Ƹ̵̡Ӝ̵̨̄Ʒ - NutriLux Bubble Vitamins - Who says vitamins have to stop being fun when you become an adult? I had to feature this first, as this product wins as my box favorite for this month just for the sheer fun factor. When it's FUN and still gets the job done you know it's a winning combination. And this is just EVERYTHING - A VITAMIN BUBBLE! YES PLEASE! You simply chew on a bubble (they recommend 3 times a day) and it's absorbed immediately into the body upon bursting, giving you max nutrient absorption in a truly fun, easy and portable way to remember to take your vitamins! The fact that they also help build strong hair, skin and nails with age-defying collagen, is the icing on the cake. SCORE! I will reach out to them directly and find out if they want to do something fun for Ascending Butterfly Readers as I just think these are the smartest things ever! Ƹ̵̡Ӝ̵̨̄Ʒ - Kratos Natural Beef Bar - To fuel muscle you need protein, these 100% lean beef bars contain 15g of protein, is low cal and gluten free. Great for post workout, also great to have in your desk for the 'mid-day hump' when you are feeling peckish and sluggish. I say stash a few everywhere, your purse, gym bag and desk! Ƹ̵̡Ӝ̵̨̄Ʒ - EBOOST Energy Shot with Coconut Water Berry-Melon Flavor - With 74 seaweed derived trace minerals, vitamins, antioxidants, green tea and coffee bean extracts plus the power of coconut water, what's NOT to love? I tend to rely on Energy Boost enhancers during conferences as those tend to come with back to back days that are about 10-12 hours long. And I have been on a coconut water kick lately, so this definitely combines the best of both worlds! Ƹ̵̡Ӝ̵̨̄Ʒ - Simple Being Daily Personal Vitamin Gummies - More fun vitamin goodness, with these you will never have to have to deal with swallowing a large pill ever again! But don't think it's all fun and games butterflies, this little gummy bear gives you your daily dose of Vitamin D, B-6, and B-12 too! Ƹ̵̡Ӝ̵̨̄Ʒ - Dream Water - About 30 minutes before you turn in, take some dream water, brush your teeth, take a warm shower, put on some smooth jazz and then let the melatonin get to work on your internal clock and regulate your sleep cycle. They are definitely not new to me, I am a total insomniac, always have been and prefer a natural solution to a drug based one. In fact, on my last press trip on the Atlantic City Party Bus, we were handed slippers and Dream Water on the way off the bus, which totally made me smile. Dream Water and I are definitely good friends! Ƹ̵̡Ӝ̵̨̄Ʒ - Zestra - A botanical blend arousal oil that is applied topically, it increases arousal as well as offering a deeper more pleasurable experience overall. This was the Bonus Sample in the August Box. I have two discounts for you this time Butterflies! Ƹ̵̡Ӝ̵̨̄Ʒ - Join the Bulugan Nation, Nab a box at a 50% discount by entering code: BULUGAN707 - or pressing on the banner ad below directly! I really enjoyed this box, so far they have all been a hit. And the NutriLux Vitamin Bubbles were my pick as my favorite from this box! Have you tried Bulu Box? If you have, do you have a favorite product that you learned about via Bulu? If you haven't tried them yet, which of the products in this box featured above would you most like to try? FTC Disclosure: No monetary compensation has been received. A Bulu Box has been provided to Ascending Butterfly for Editorial Consideration. As always, all opinions are my own. I am disclosing this in accordance with the Federal Trade Commission 16 CFR, Part 255 - Guides Concerning the use of endorsements and testimonials in advertising, you may check our Giveaway and Disclosure Page for additional information regarding Ascending Butterfly Disclosure. Thanks for sharing this with the world. Those vitamins look nifty. I think Bulu Box is pretty cool. I agree the vitamins are pretty cool. Gummy vitamins are the best. No swallowing a horse pill and no chewing a chalky nasty chunk of grossness. That's a lot of stuff in one box. I always wondered what came in these boxes...now I know. Thanks for sharing. Hadn't heard of this box before. I like boxes like this that have things in it that I could actually see myself using. I really like monthly subscription boxes. Great way to try new products and also a treat for me each month. You get a ton of stuff!! I can see how this could be great for on the go! Looks like an awesome subscription box! Those vitamins look neat. That looks like a really interesting box. I have never seen or heard of half those products. Okay, I think I'm in love with the Glow Vitamin Bubbles! I hate taking regular vitamins. They're huge and always have such a strong taste and odor! I would love to try the energy shots! I need a boost on busy days! Well that bubble vitamin really does sound fun. I've never heard of anything like it before either! This is a really cool concept. I love the idea of getting swag, and all of this stuff looks great. I didn't know that health subscription boxes existed. Looks like some great stuff! I've never tried Bulu Box. It sounds like you're really happy with your box, so I just might check it out! I don't think I have ever heard of the Bulubox before! They have some really great products in this months! I haven't heard of this box before. I could use those energy shots! This is such a neat box! I would love those energy shots! I have never tried that product before. It looks pretty interesting. I usually don't do energy shots or supplements. I juice fruits and veggies alot. I haven't heard of this one. Looks like some great stuff though! Definitely a lot of samples, I've heard of other companies like this. Hope you find some samples that you like. I haven't tried these type of boxes yet but have considered them. I would love to try those Glow vitamin bubbles. I love monthly subscriptions filled with surprises. I'd never heard of Bulu Box before. Sounds like a lot of goodies in this box! I have not tried the Bulu Box. I like the samples you received. The energy shots would be great. There are boxes for everything! This one sounds awesome! I would really like try the NutriLux Bubble Vitamins. They sound fun! Wow looks like a great box! I've never heard of it before, but the products look great! Awesome Box! I have never tried bulu box--or heard of them before this post! Thanks. Wow looks so great! I love these monthly boxes! So great for finding new products! Looks like there are tons of great things in that box! I need to check this box out! I LOVE BULU box. They always have good items.